It's time to take a quick break from the Super Lap Battle coverage for my third and final post from the Autofashion USA VIP Festival. 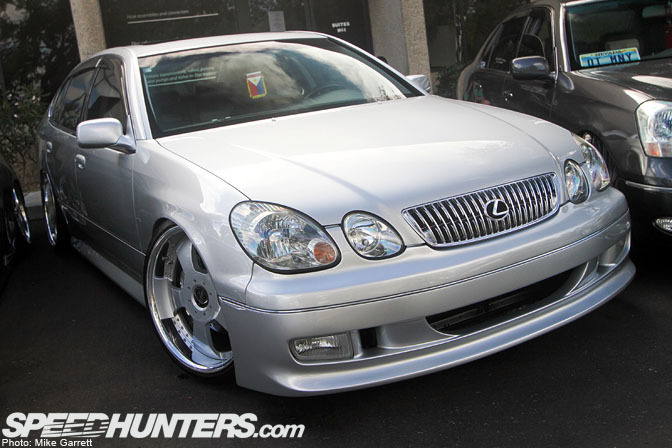 From a pure fitment perspective, this LS430 was one of the coolest cars there. 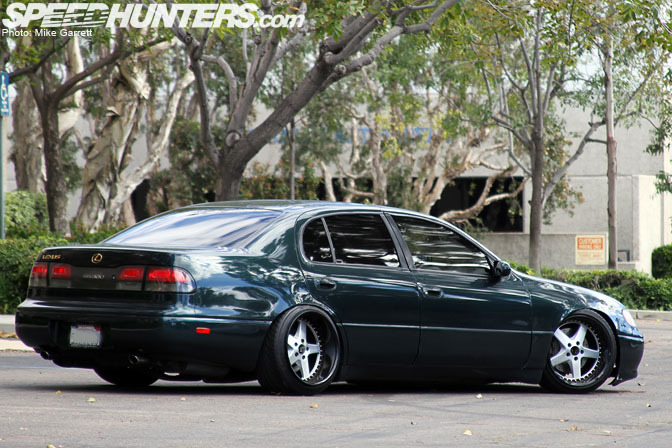 It must have taken some serious work to get those Weds Kranze wheels to tuck like that. You might remember this VIP Chrysler 300C from last year's VIP Festival coverage. Always unique. …I felt like it was midnight in a 711 parking lot somewhere in suburban Japan. Yep, just another sweet looking GS. Again, not a VIP but a pretty crazy setup on this Civic nonetheless. 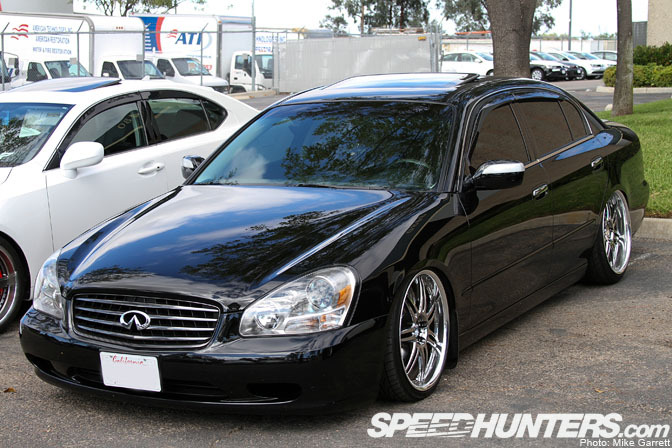 One of my favorite cars of the day was this black LS on Work Equips. So simple, and so perfect. Another view of the F50 Q45. Looks so….executive. 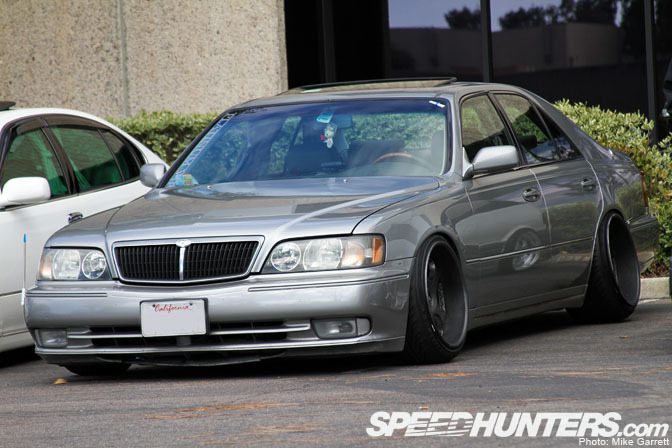 More Nissan luxury sedan goodness. 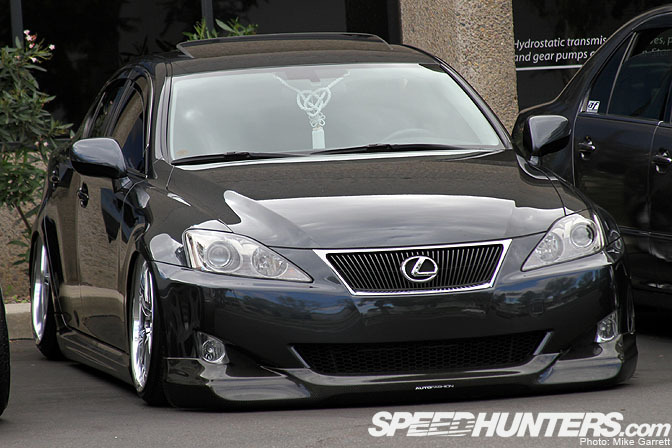 Here's another one of the VIP-inspired Scion tC's that made it out. 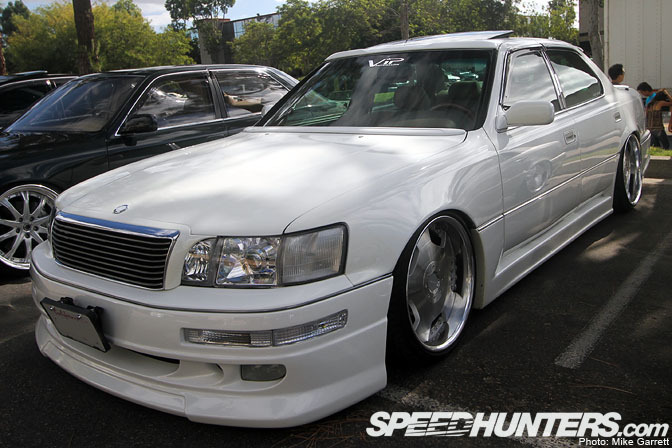 First generation Lexus LS/Toyota Celsior – the classic VIP sedan. Although intended to be a sport sedan, the second gen Lexus IS has picked up quite a following among the VIP crowd in the US. Looks pretty mean aired down to the deck like this. 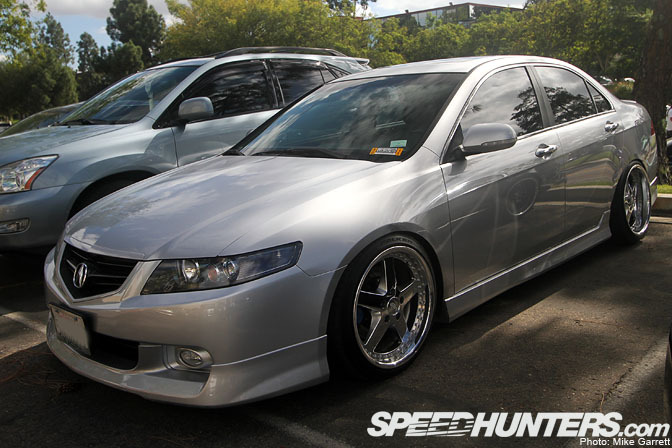 Another view of the TSX on Equips. Really liked this car for some reason. You have to love the classic Italdesign styling of the first gen Lexus GS. Even more so when bagged over a set of ultra-wide Works. 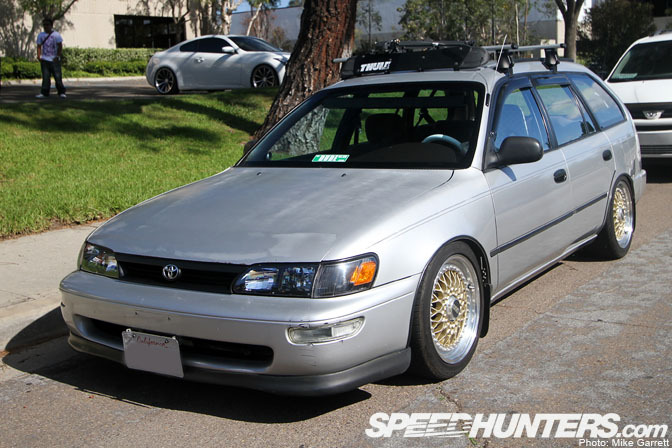 Corolla Wagon on BBS's. There we go! This GS really stood out with its green body color. I believe this is a newer Lexus IS color? One more xB for you. Not sure exactly what kind of wheels these are, but they look great on this box. So, that will do it for my coverage of the 2010 Autofashion VIP Festival. muy buenoo.. ganan los lexuss. un abrazo para todo el equipo de speedhunters from Argentina! Some nice VIP rides in this batch. Maybe keep the non VIP cars for a sepeate post nex time? As cool as they might be, they let the post down IMO. Such sick VIP's! Thanks Mike! That TSX is so disgusting. 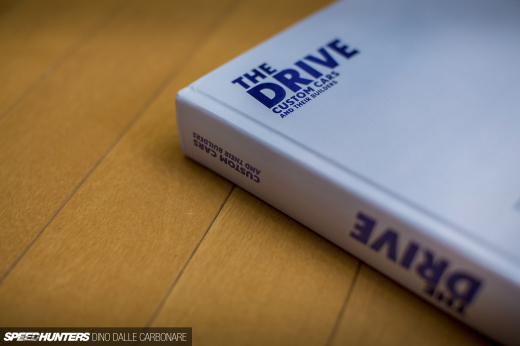 Some pretty nice rides in here though, overall. the black q. what kind of roof spoiler do you have? hi!! do yo have some info about this crazy gs???!!!!!!!!! is that 300C an SRT8? the front bumper suggests it, but i'm not sure.